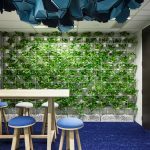 IA Design was engaged to deliver a show suite within the 2nd level of the 267 St Georges Terrace building. 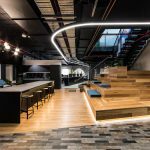 The Brief was to design a contemporary industrial style show suite boasting exposed ceilings, polished concrete flooring and modern styles of working. The final design is a welcoming space that makes good use of the natural light filtering in from a view of the swan river. IA Design have extensive experience delivering show suites within the Perth periphery. Show Suites are an important strategy in order to attract and retain potential tenants to any building. They have proven successful in numerous situations. IA Design delivered a show suite that would attract the right tenant for this building. The building owners of 267 St Georges Terrace are looking to attract modern forward-thinking companies into this building and this has resulted in a modern space being developed for the show suite.